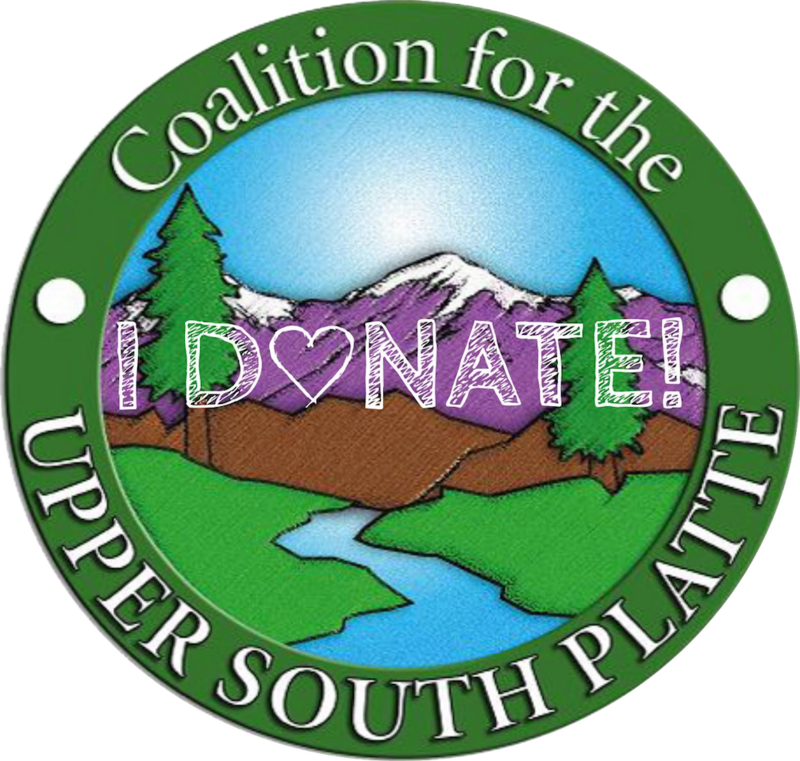 Donations to the Coalition for the Upper South Platte ensure the continued successful efforts of our staff, dedicated volunteers, and partners. Our unique position allows us to work on federal, state, and private properties – essential because the land knows no boundaries and the challenges are shared by all. 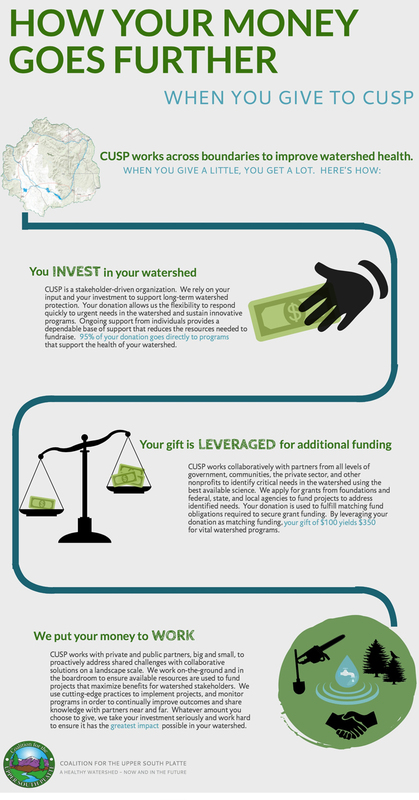 Your donation to CUSP is tax-deductible. We are a 501(c)(3) nonprofit and will provide a receipt of your gift for your records. We never share your personal information with anyone else. P.O. Box 726, Lake George, CO 80827. If you would like your donation to be directed towards a special project or program, please note that on the check’s Memo line. If there is no memo, your donation will go where it is needed most. Upon receipt of your donation, CUSP will send a letter for your tax records. Thank you! Click here to make a donation to CUSP. Use the options in the sidebar if you would like to donate to a specific program. Donate in someone else’s name by entering the honoree’s name in the ‘Order Notes’ box under ‘Additional Notes’ at checkout. Thank you for your investment and generosity! CUSP is one of the more than 1,700 Colorado nonprofit organizations featured on ColoradoGives.org. Made possible by Community First Foundation since 2007, ColoradoGives.org encourages charitable giving by providing comprehensive, objective and up-to-date information about Colorado nonprofits and an easy way to support them online. Sign up to support CUSP through Amazon Smile, and Amazon will donate 0.5% of the price of your eligible Amazon Smile purchases to the Coalition for the Upper South Platte with no additional cost to you.